I am pleased to present to you the 2018-19 Waco Symphony Season! We have planned an exciting lineup of fabulous guest artists and spectacular pieces. As I often hear, Waco is blessed to have such an outstanding symphony orchestra. I am very grateful for our superbly talented musicians, capable and caring Executive Director and Staff, and dedicated, hard-working Board of Directors under the wise leadership of President Harry Harelik and Officers. But perhaps most of all, I’m so appreciative of our generous sponsors, donors and ticket holders. As grateful as we in the Symphony Association are for the steadfast support of the community, we do not take it for granted. We pledge to work tirelessly to be worthy of your continued support. I hope you will join us for this season of magical evenings of great music performed by your Waco Symphony Orchestra! IIn addition to his responsibilities as Music Director/Conductor of the Waco Symphony, Stephen Heyde is the Mary Franks Thompson Professor of Orchestral Studies and Conductor-in-Residence at Baylor University. Before assuming his duties at Baylor in 1984, Mr. Heyde was on the violin and conducting faculty at West Virginia University from 1975-1984. Stephen Heyde is a co-founder of the College Orchestra Directors Association and served as President from 2006-08. In January of 2018, he received the Lifetime Achievement Award from the organization, only the second time this honor has been given. Heyde also serves on the Board of Directors of ProMus International, headquartered at Silver Lake College in Manitowoc, Wisconsin. ProMus is a multi-national organization dedicated to promoting the power of music for all people in all circumstances. Mr. Heyde has conducted All State Orchestras and other festival orchestras in numerous states around the country. He has conducted ballet performances with several regional companies and many collegiate opera productions. He is a frequent evaluator of collegiate orchestral programs and conductors and has guest conducted at a number of universities, including Yale University, Ithaca College the University of Oregon, and Brigham Young University in recent years. Stephen Heyde made his European debut with the Krakow State Philharmonic in March 1998. In October 2004 he was invited to conduct the orchestra of the prestigious Liszt Academy in Budapest, Hungary. During his month long stay in Budapest, he was awarded the prestigious “Memorial Ring of the Liszt Ferenc Music Academy” and also accepted a position on the Curatorium (Board of Supervisors) for the Academy. While in Europe, Mr. Heyde also addressed the International Society for Music Education in Belgium and participated in a Roundtable presentation of the International Kodaly Society. In April 2007 Mr. Heyde was privileged to return to Belgium as a member of the ensemble jury for the 55th European Music Festival for Young People held in Neerpelt, serving again in April 2011 for the 57th edition of the Festival. In March 2009 he participated in the American Arts Festival in Flanders, conducting three Belgium orchestras. In July 2015 he conducted the Córdoba Symphony Orchestra in Argentina. Under Mr. Heyde’s direction, the Baylor Symphony has performed eight times at the Texas Music Educators Clinic/Convention. In December 2003, the Baylor Symphony was featured with other School of Music ensembles in a PBS Special, “Christmas at Baylor,” that was aired nationally in over 350 markets with an estimated audience in excess of six million viewers. The Baylor Symphony has also appeared by invitation at the prestigious Piccolo Spoleto Festival in Charleston, South Carolina, and at national conventions of the American String Teachers Association and the College Orchestra Directors Association. The Baylor Symphony was privileged to accompany the last public performance of revered violinist Joseph Gingold and has also worked with a number of distinguished American performers and composers like Robert Shaw, William Kraft, Jacob Druckman, and Lorin Hollander. Mr. Heyde led the Symphony in concerts in San José, Heredia and Cartago, Costa Rica, in March 2004. In November 2010 he led the Baylor Chamber Orchestra on a concert tour of Flanders, with performances in Antwerp, Ostend, Louvain, and Tongeren. This year the Baylor Symphony was again accorded national recognition by winning the American Prize in the University Orchestra Division for an unprecedented fourth consecutive year, the first time any professional or academic band, choral, or orchestral ensemble has reached that milestone. 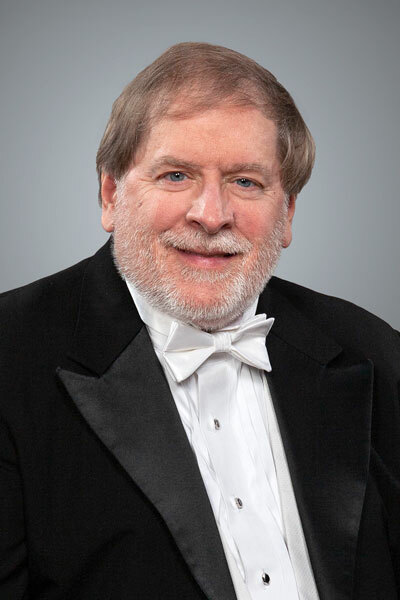 A recipient of Outstanding Teacher Awards at West Virginia University and Baylor University, Mr. Heyde is a member of the International Kodály Society, Pi Kappa Lambda, Mu Omicron, Texas Music Educators Association, and Texas Orchestra Directors Association, in addition to other professional associations. He is a member of the Lake Brazos Rotary Club. As a violinist, Mr. Heyde served as concertmaster of the West Virginia Symphonette, concertmaster of the Conductors Guild Orchestra, and associate concertmaster of the New Pittsburgh Chamber Orchestra, among other positions. He has been a frequent clinician on string and conducting topics.